As the Secret Cinema 28 Days Later event continues to ravage its way through London, terrorising those brave enough to not only watch but actually live through a classic horror movie, it’s inspired a new piece of art. 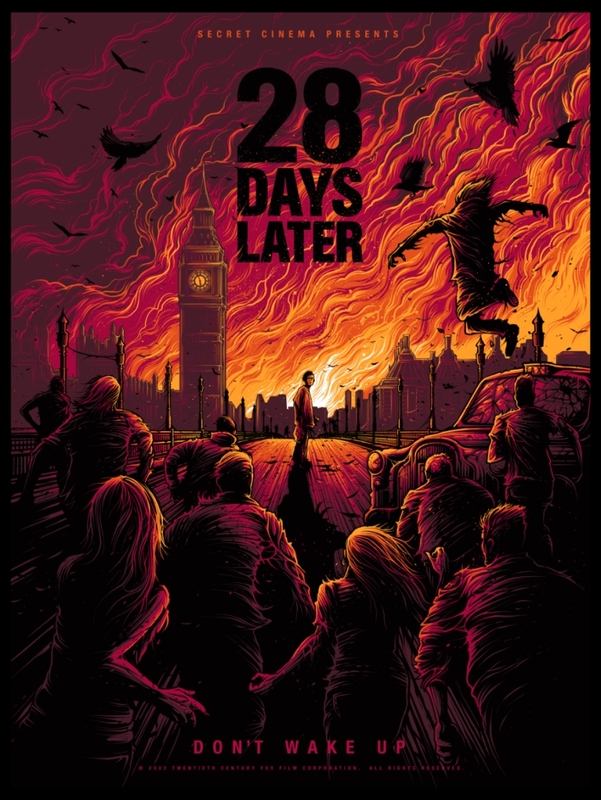 Artist Dan Mumford has created an all-new apocalyptic graphic of 28 Days Later as a silk screen image, and it’s available for fans to buy for £35. Have you already been through the ringer of a desolate and destroyed London, or are you about to wake up in a nightmare world, as Secret Cinema 28 Days Later runs from 14 April-29 May 2016? Let us know in the comments below.